Moglix brings you a range of Conductivity & Temperature Meters from the most renowned brands such as Lutron Conductivity & Temperature Meters, Phoenix Conductivity & Temperature Meters, Electronics India Conductivity & Temperature Meters, Metravi Conductivity & Temperature Meters, Dolphin Automation Conductivity & Temperature Meters, Dic Conductivity & Temperature Meters, Uni-t Conductivity & Temperature Meters, Kusam Meco Conductivity & Temperature Meters, Elitech Conductivity & Temperature Meters, Manti Conductivity & Temperature Meters are many more Conductivity & Temperature Meters brands. Browse through our assortment of HTC Conductivity & Temperature Meters in order to explore the price, specifications and availability of the products. 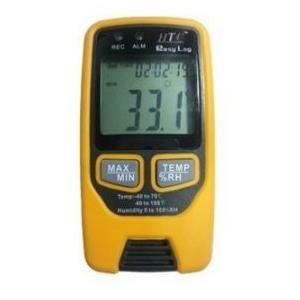 Moglix offers a range of HTC Conductivity & Temperature Meters. Our user friendly platform makes it a breeze to search for your desired product without any hassles, as you do not have to scroll through hundreds of products rather sort you can search based on specific requirements.